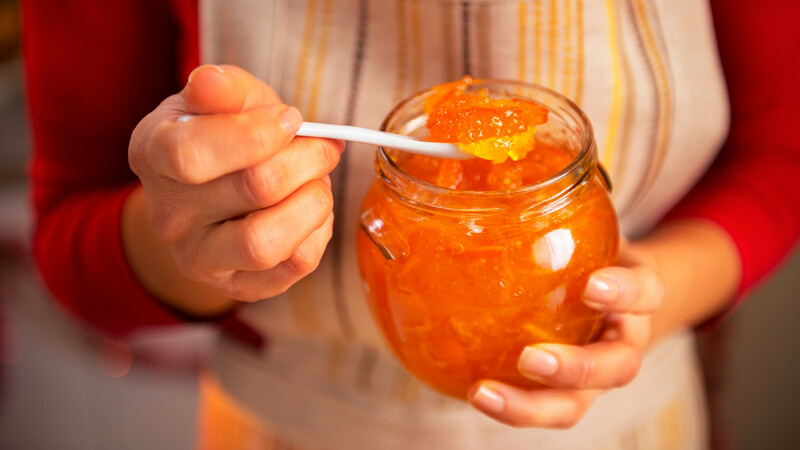 7 kinds of Russian jam you can cook yourself - so get foraging! What kind of varenye is popular in Russian regions? Everyone loves spreading gooey, sticky, sweet stuff on toast. 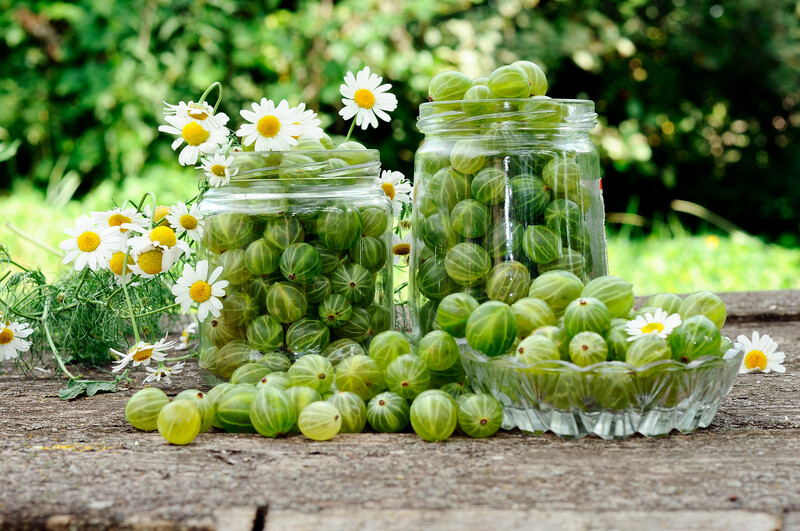 You may not have heard of some of these fruits but trust us, they are delicious. 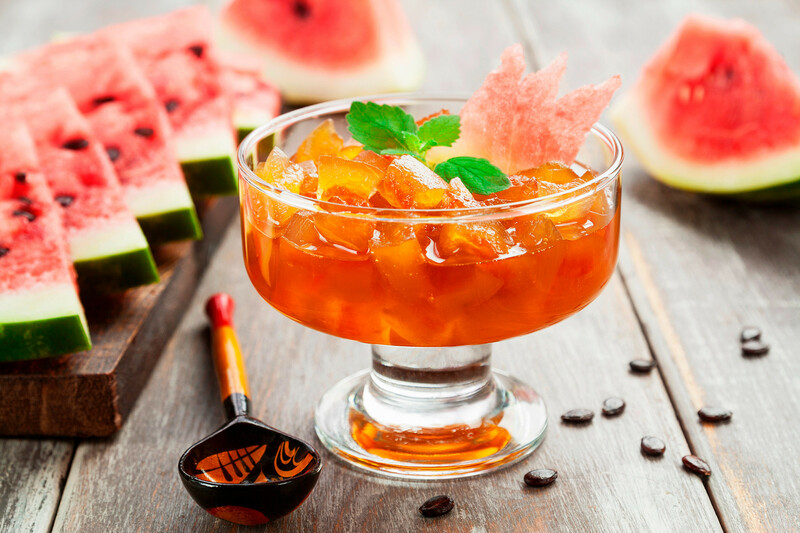 Varenye (a kind of jam) is an old Russian word that means "a boiled treat." Fruits in varenye remain whole after being boiled. This is a seasonal product: Russians make it at the end of summer until mid-fall, when they collect berries and fruits in and around their dachas. After making varenye, Russians usually preserve it until the winter. The most popular kinds of varenye are made from raspberry, blackcurrant, strawberry, cherry, chokeberry, apricots, plums, and apples, but some people also use zucchinis and carrots. What kind of varenye is popular in Russia’s regions? Actinidia looks like a small kiwi fruit. 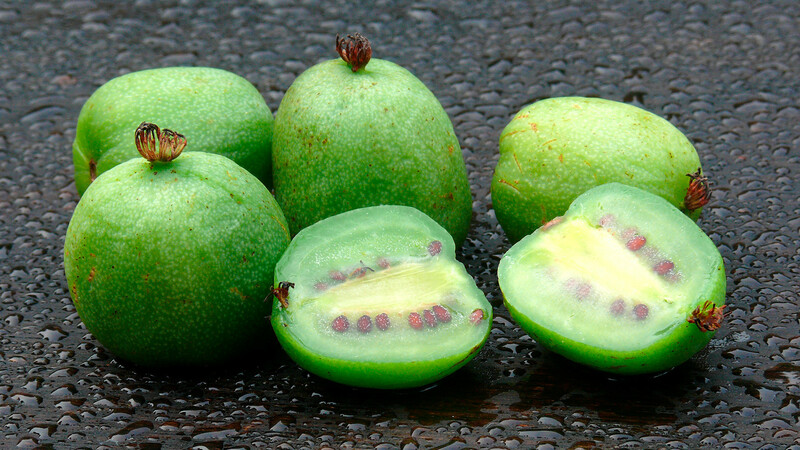 You’ve probably never heard of this fruit but you’ll know its closest relative – the kiwi. If you cut an Actinidia in two, you will see the similarities. It’s full of vitamin C and tastes great both fresh and in jam. It's widely grown in Russia’s Far East. Fruit to sugar ratio - 1:1. Wash the fruit, heat up the sugar until it’s syrup and add (one cup of water for one kg of sugar) and leave for three to six hours. Bring to a boil, let it cool, and then repeat until ready. 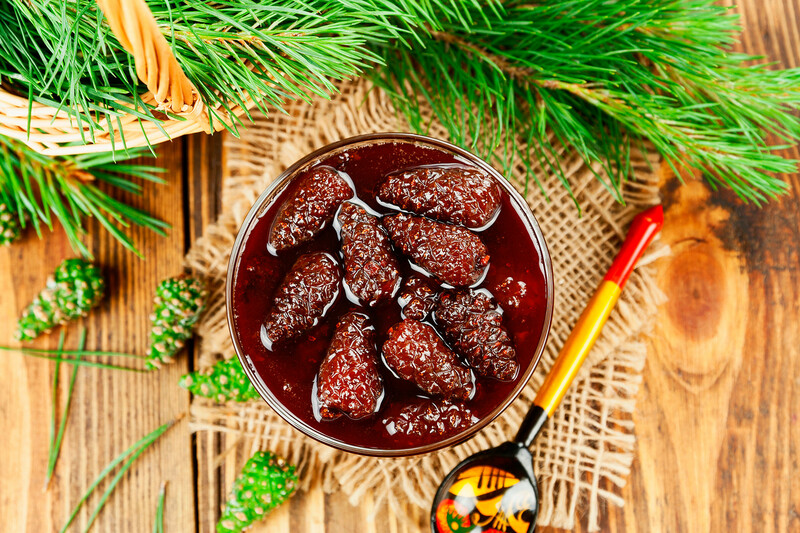 Fragrant and delicious jam made from pine, cedar, or fir cones is a traditional Caucasian and Siberian treat and an excellent remedy for a number of ailments. Sometimes it’s called pine honey because of its texture. To cook this, you only need young green cones. In the Caucasus, they usually collect them in May, in Siberia – in June. Cones should be soft, easily punctured with a nail, and one to three cm in length. For one liter of varenye you only need 0.5 kg of cones (20-30). You can also use young sprouts. Cone and sugar ratio 1:1. Wash the cones carefully in hot water and place in a stainless steel pan. They contain a lot of resin, which can ruin enamel pots when boiling. Add the sugar and bring to a boil. Then cool until ambient temperature and repeat once or twice, until the cones change color to brown and become very soft. You can add lemon, vanilla, cinnamon, and other spices, as well as black currant and cranberry. Cloudberry grows in the swamp areas of Russia’s North. 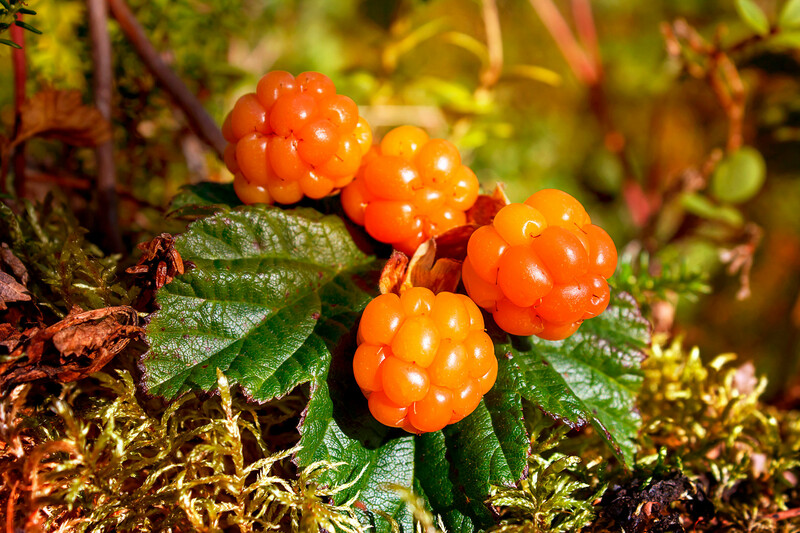 Cloudberry usually grows in swamp areas of Russia’s North. This berry contains four times more vitamin C than an orange. It looks like a yellow raspberry but has a very different taste. People collect it in August, which is the best time of year to prepare varenye for the winter. Cloudberry to sugar ratio: 1:1. Wash the berries, let them dry. Prepare the sugar syrup, add the berries and bring to a boil at a low heat. Remove any foam, then boil for five more minutes and allow to cool. Repeat one more. Put the mixture through a sieve to remove lumps and then boil the varenye again. Everybody in Russia loves watermelon! In Russia’s southern regions where it grows, locals cook many dishes with the fruit - they even pickle it. And of course, people make jam with its lush flesh. For every 0.5 kg of watermelon use one kg of sugar. Cut the watermelon into cubes and put in a pan, add the sugar and leave for couple hours. Boil the watermelon for 15 minutes, allow to cool, repeat three times. Stir the varenye with a wooden spoon. Add a pinch of vanilla and a little citric acid. You can also try varenye from watermelon rinds. First, peel them, cut into strips, and cook like you would when making normal varenye. Ranet is a type of small apple. Ranet is a type of small apple that grows in the Urals (known as “Uralochka” - meaning a gentle Urals woman), Altai, and Siberia. 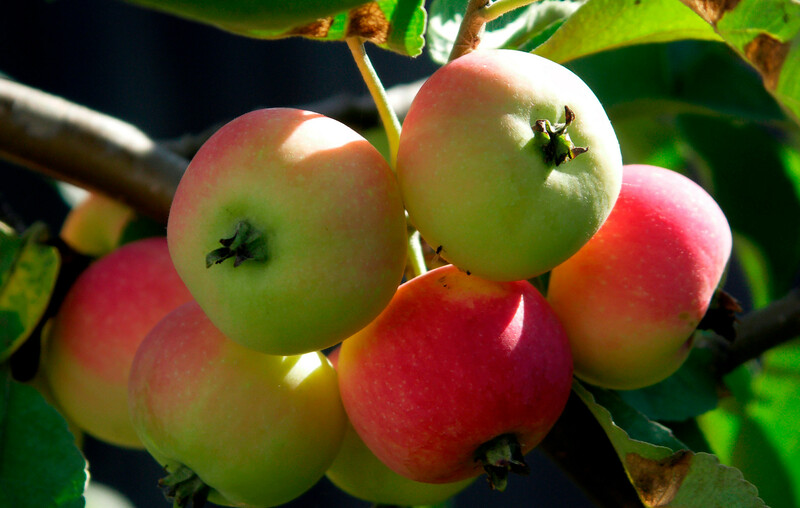 People cook varenye using fruit grown in their garden, as well as foraged from the wild. They often add lemons, ginger, and juice. For one kg ranet you need 1.2 kg sugar. Only whole fruits will do. Wash, dry with a towel, then pierce the bottom of each ranet with a wooden toothpick. First, you need to cook the sugar syrup. Add the apples and reduce the heat. Do not stir the varenye or the fruit will fall apart. Cook for 10 minutes. You can see if the fruit is ready by checking its texture - it should be like marmalade. This berry is often called “the northern grape” for its taste and resistance to Russian frosts. Russians usually make jams and varenye with it. Berry and sugar ratio: 1:1. Cut off the stalks, wash and dry the fruit. Place the berries into a pan, add ½ cup of water. Bring to a boil. If you want your berries whole, pierce them with a wooden toothpick. After boiling, add the sugar and leave it for two to three hours. Boil one more time and cook for 30 minutes. This varenye is also good with orange (you need two for one kg gooseberries) and walnuts (100 gr of nuts for one kg of berries). 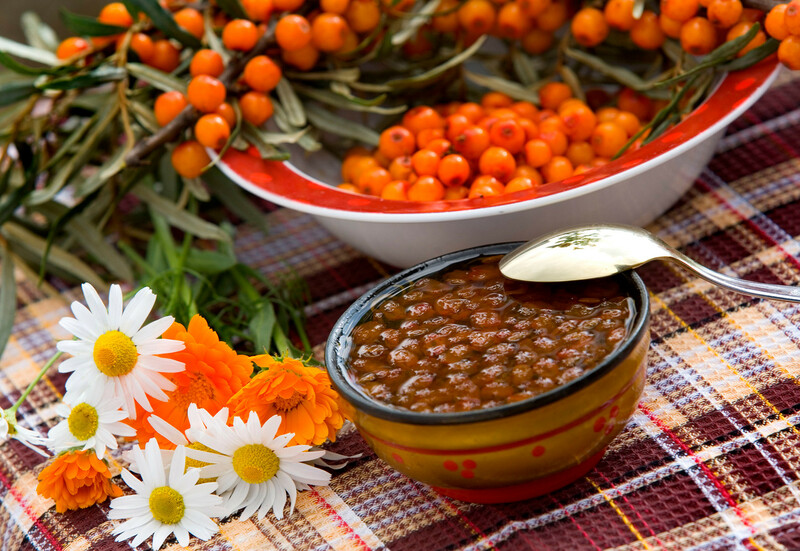 Sea buckthorn grows almost everywhere in Russia. Sea buckthorn grows almost everywhere in Russia. In the thirties, Altai agronomists cultivated new breeds of this fruit, some without thorns. In this region, sea buckthorn is very popular: Here people make oil, juice, and liqueur from the fruit. But of course, the best thing to make from sea buckthorn is jam. One kg of sea buckthorn requires two kg of sugar. Wash and dry the fruit, then mash the berries up with the sugar using a wooden spoon. Keep at an ambient temperature. Mix with the sugar and leave for one hour. Cook at a low heat until ready. What's so Russian about Russian food? Bored of cappuccino and latte? Try these crazy Russian ideas!